Dubai (AFP) – A Bahraini court on Monday upheld a life sentence for opposition leader Sheikh Ali Salman for spying for Gulf rival Qatar, a ruling his party slammed as “political revenge”. 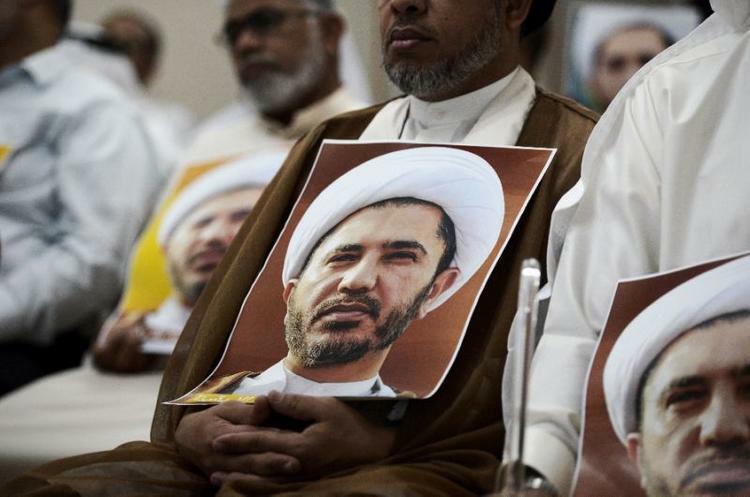 Salman, who headed Al-Wefaq, a now-banned Shiite movement, was convicted by an appeals court in November in a decision rights groups called a travesty. The supreme court confirmed the verdict against Salman and two of his aides for “spying for a foreign state in order to… overthrow the government”, according to a statement released by public prosecutor Osama al-Awfi. Bahrain in 2017 cut all ties with Qatar as part of a Saudi-led boycott in response to what Riyadh and its allies say are Doha’s policies on Iran and Islamist groups. The kingdom — a tiny archipelago, allied with the US and located between regional rivals Saudi Arabia and Iran — has been hit by waves of unrest since 2011, when security forces crushed Shiite-led protests demanding an elected prime minister. Hundreds of activists have since been jailed and some stripped of citizenship over what the government says is “terrorism” linked to Iran. Salman’s opposition group, Al-Wefaq, was dissolved by court order in 2016. The cleric is currently serving a four-year sentence in a separate case on charges of “inciting hatred” in the kingdom. Al-Wefaq hit out at the verdict against Salman as “political revenge”. “The majority of Bahrainis hold firm to the need to move from a tyrannical regime to a democracy,” it said. The United States had urged Bahrain’s high court not to overturn an earlier acquittal of Salman. 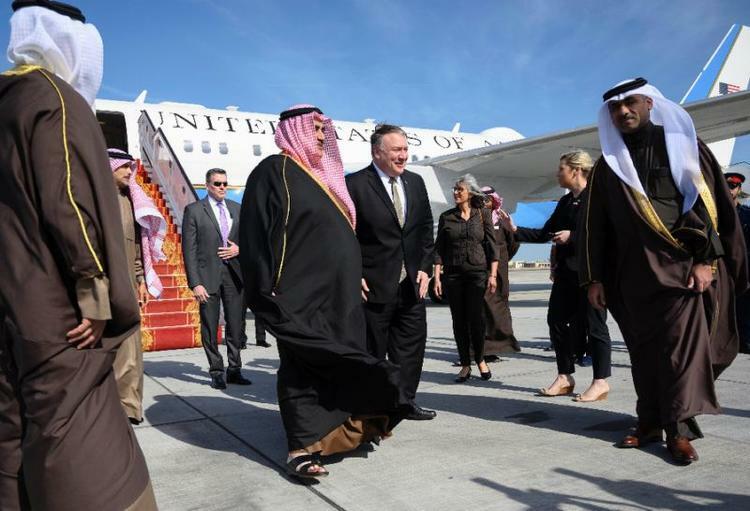 But US President Donald Trump’s administration has treaded lightly on criticizing Gulf Arab allies over human rights and responded carefully on Monday. The verdict “narrows the space for free expression and political activity, something historically protected under Bahrain’s constitutional system,” State Department deputy spokesman Robert Palladino tweeted. After taking office, Trump eased restrictions on arms sales to Bahrain, a vital link for Western militaries which is home to the US Navy’s Fifth Fleet as well as a permanent British base. Amnesty International described the country’s justice system as “a complete farce” and called on officials to release Salman and rescind a ban on the two main opposition groups. Amnesty and Human Rights Watch have categorised Salman and other jailed opposition leaders as prisoners of conscience. In addition to Al-Wefaq, the kingdom has banned the secular National Democratic Action Society, or Al-Waad, over allegations of links to terrorists. Both are denied representation in parliament. Bahraini activist Sayed Alwadaei, advocacy director for the London-based Bahrain Institute for Rights and Democracy, said Monday’s verdict was “an insult to justice”. Salman’s aides Ali al-Aswad and Hassan Sultan, who had been sentenced to life in absentia, also lost their appeals Monday. Both men are former members of parliament and reside outside Bahrain. The Gulf diplomatic row is now in its second year. Doha has denied accusations it supports Iran and radical Islamist groups. Bahrain, Saudi Arabia and the United Arab Emirates have banned their citizens from travel to Qatar. Bahraini authorities accuse Tehran of inciting anti-government rallies and have said jailed protesters have been trained in and armed by Iran, which denies the allegations. Iranian foreign ministry spokesman Bahram Ghasemi on Monday denounced the verdict and said Bahrain’s authorities should “refrain from acts that could cause instability in their country”. “We do not interfere in the internal affairs of Bahrain, but we have advised Bahraini officials that in order to guarantee their rule they need to recognise the rights of all the people,” he said. The king last year signed off on a decree granting military courts the right to try civilians accused of “terrorism”, a vague legal term.